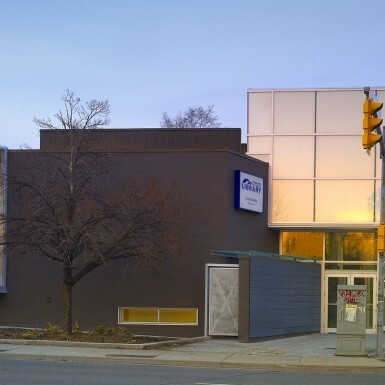 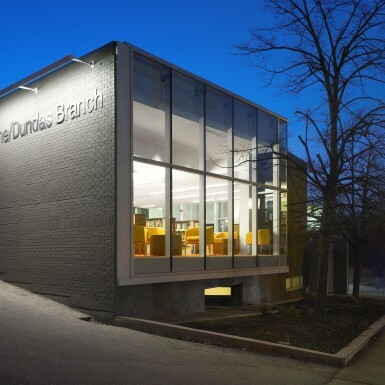 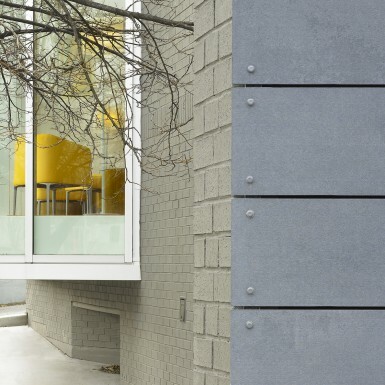 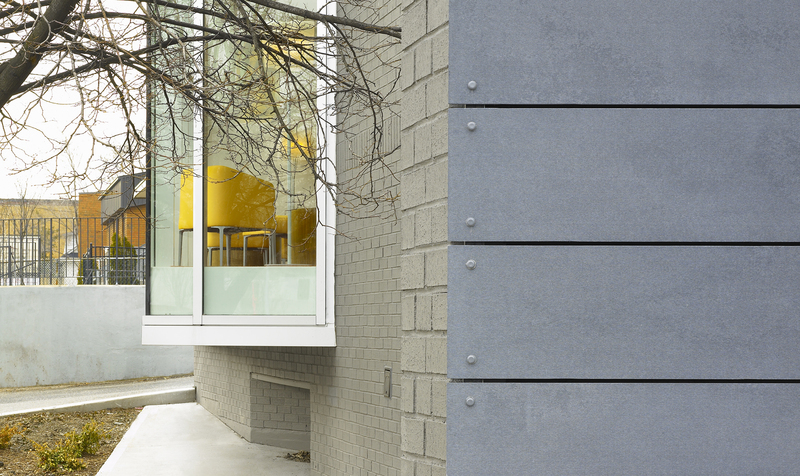 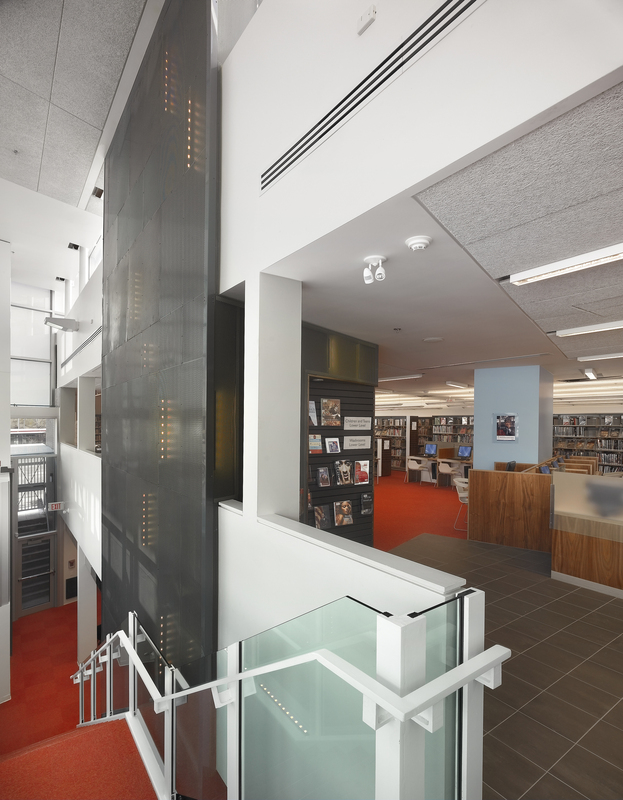 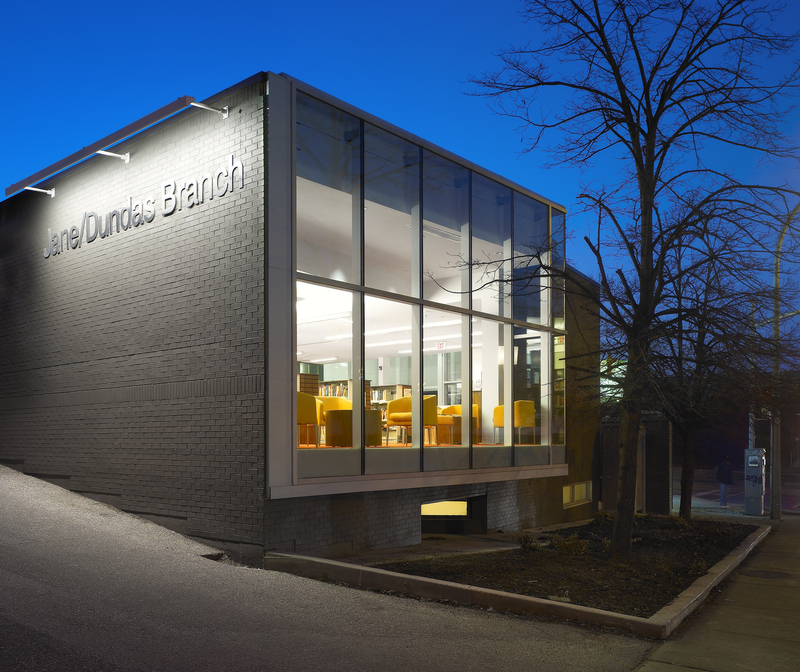 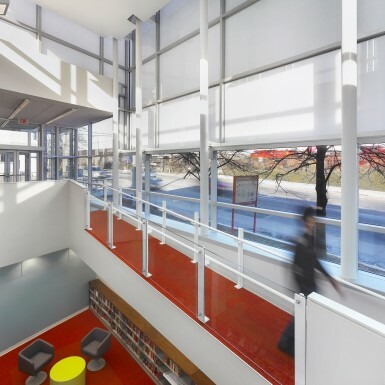 This library transformed the previously dark, inward-facing building into a focal-point and beacon for the Jane-Dundas community in Toronto, Ontario. 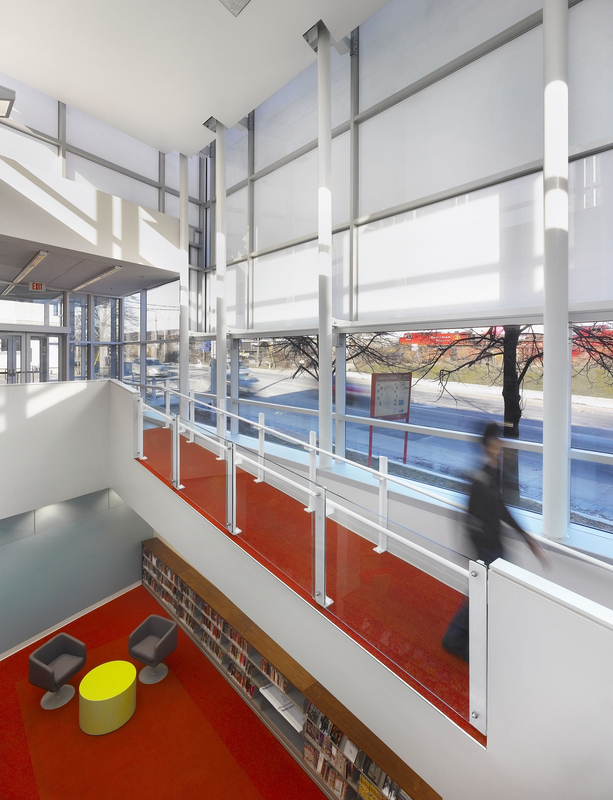 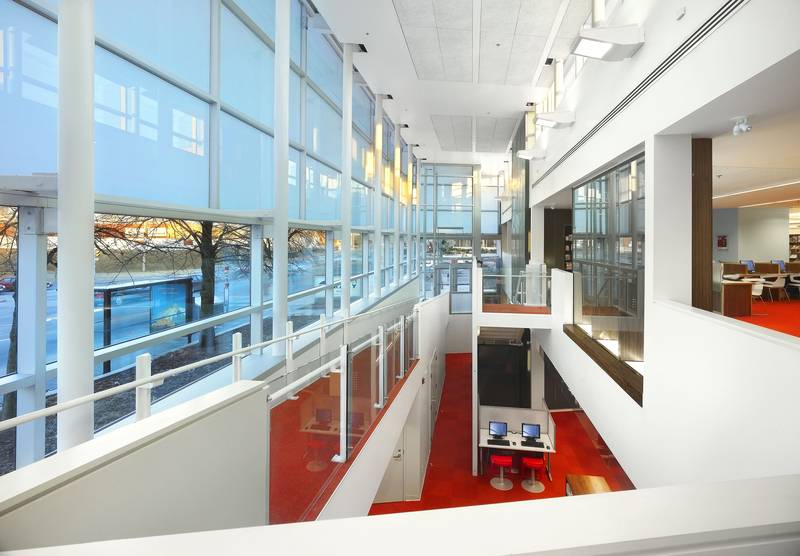 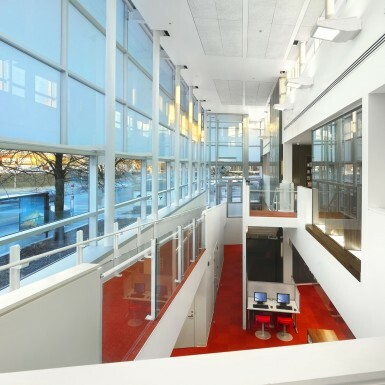 The north façade of the building and new windows on the east face bring soft, natural light into the reading spaces, resulting in a well-tempered and inviting interior. 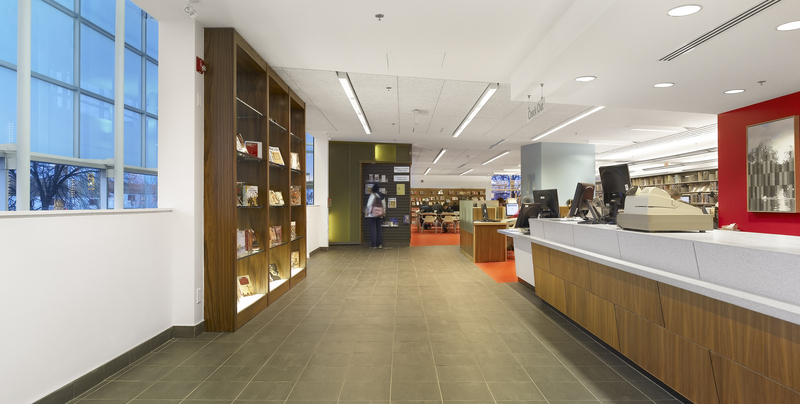 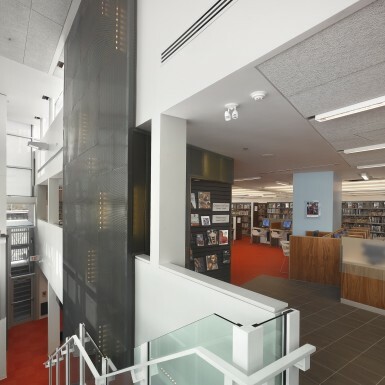 One of the main architectural improvements to the library is better defined circulation routes. 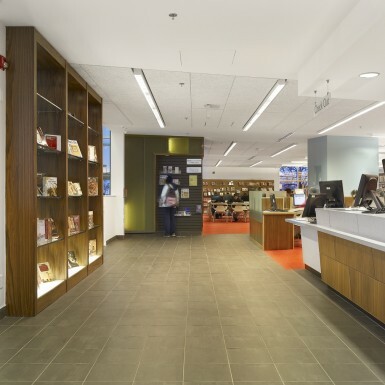 Patrons entering form the corner of Jane and Dundas streets ascend through the gallery to the one-point entrance in front of the circulation desk. 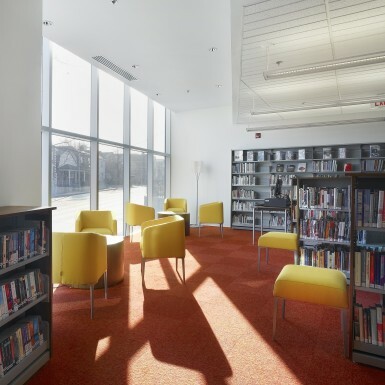 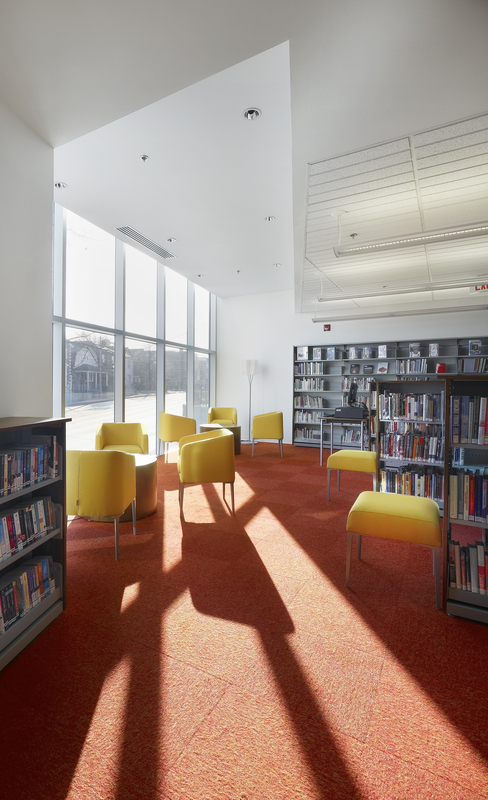 The new library serves as a safe and vibrant place for existing and future generations of readers.